What Is a Gigabit Switch? Nowadays, smart home and home automation are becoming more widespread. Small and medium enterprises have been developing vigorously. All of these phenomenons greatly promote the usage of Gigabit switch. For network engineers, Gigabit switch is an essential component in their network construction and can be an inexpensive and easy way to expand network in home and small business. This article is mainly conducted to popularize the generic concept and different types of Gigabit switch so as to help choose a suitable one for your networking. In computer networking, a Gigabit Ethernet switch connects multiple devices, such as computers, servers, or game systems to a Local Area Network (LAN). It also empowers devices like 4K HDTVs and DVRs to connect directly to the internet without depending on Wi-Fi. With the ability of speeding up data transfer, it results in faster response time and better frame rate. In general, a Gigabit Ethernet switch expands network capacity via extra ports. There are many different types of switches in the market. According to the quantity of devices you have and the people who use the network, you need to choose relevant switch. If you want to expand your network without big expense, the basic fiber optic Gigabit switch is a great choice for small and medium environments to boost performance and efficiency of network, such as 16-port and 24-port Gigabit switch. For home users, a 8-port Gigabit switch is enough. Here, we just introduce the basic concept of managed and unmanaged switch, PoE switch and stackable switch to help distinguish the functions of different types of Gigabit Ethernet switch. Unmanaged switch is regularly used in home networking, small companies and businesses. A basic unmanaged gigabit Ethernet switch has no user configuration. So it is simple to set up. If you want to add more Ethernet ports, you can use these plug and play types of switches in your networking. Comparing to unmanaged switch, the primary advantage of managed switch is that it can be customized to enhance the functionality of a certain network. It can also be monitored and adjusted in some aspects. It adjusts speeds, monitors traffic and report network activity. Although a managed switch is typically more expensive than an unmanaged switch, it offers greater flexibility. 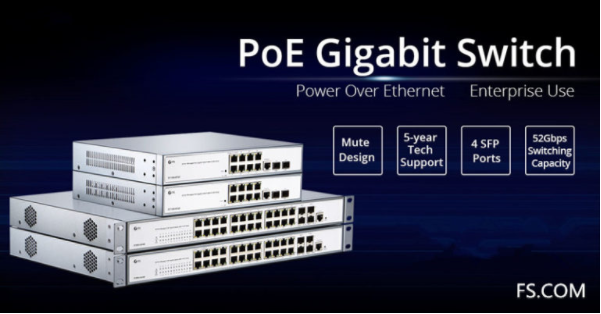 PoE Gigabit switch is a network switch which applies Power over Ethernet technology. When connected with multiple network devices, PoE switch can support power and data transmission over one network cable at the same time. It will extremely simplify the cabling process. A stackable switch is a network switch that is fully functional operating standalone. But it can also be set up to operate together with one or more network switches. Since it can be configured, the stack of switch will automatically reroute in case of a port or cable failure. This article concisely introduces four types of switches in networking: unmanaged switch, managed switch, PoE switch and stackable switch. When Gigabit switch is in an selection, the number of users your network supports should be given the utmost attention to. Broadly speaking, for small families, a 8-port Gigabit switch is adequate. 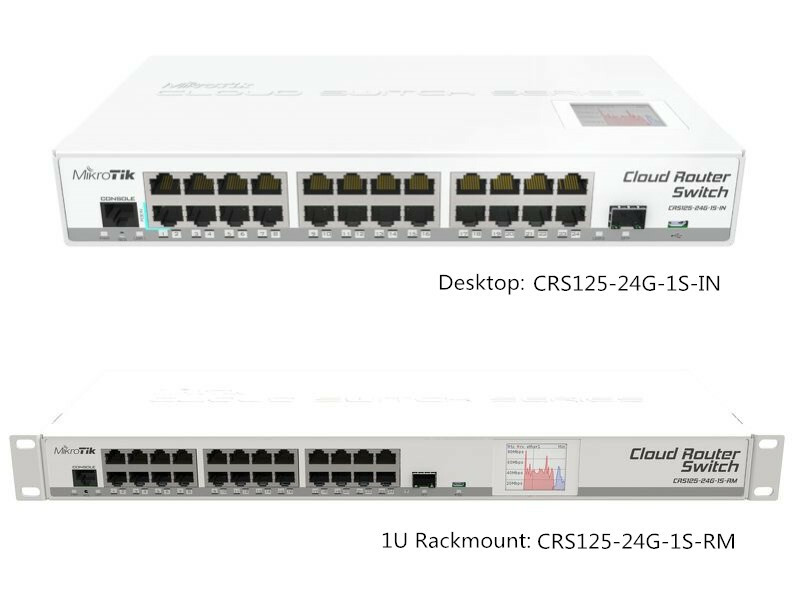 While for SMBs or large enterprises with many network devices, a 24-port Gigabit switch can be used in offices to connect desktops or laptops. On the contrary, a 24-port Gigabit switch with a better prospect is more applied in small business network. Quality and standards are the foundation of FS.COM, if you have any need, FS.COM will always be your best choice. Related Articles: What Is SFP Port of Gigabit Switch? This entry was posted in Fiber Optic Switch and tagged 24-port gigabit switch, 8-port gigabit switch, fiber optic gigabit switch, Gigabit Ethernet switch, Gigabit Switch, what is a gigabit switch on April 21, 2018 by Admin. With the rapid development of the optical network, data center cabling has become increasingly sophisticated, making cable management all the more important. Since cable spaghetti isn’t only extremely hard to your dignity and your eyes, a cable mess can actually hinder your ability to troubleshoot vital IT issues. Without well-organized cables, it could cost you more than just a headache. To save your data center from a tangled mess, some useful tools like fiber adapter panel can help you a lot. This article will mainly introduce FS.COM FHX high-density fiber adapter panels to you. FHX ultra fiber adapter panel is a kind of extractable high-density fiber adapter panel, designed to provide easy management of MACs of connections in the data center, as simple as Plug & Play. There are three different types of ultra high density panels, namely FHX LC adapter panels (3 Ports LC Quad Connector), FHX SC adapter panels (3 Ports SC Duplex Connector) and FHX MTP adapter panels (6 Ports MTP Connector). Without taking up a lot of space, these FHX fiber adapter panels are perfect for increasing the bandwidth and connection density of your fiber network. FHX ultra adapter panels are available for one-hand installation and removal, which reduced MAC time, suitable for FHX series enclosure to allow for future growth, and allows for routing and protection of fibers without disturbing adjacent circuits. 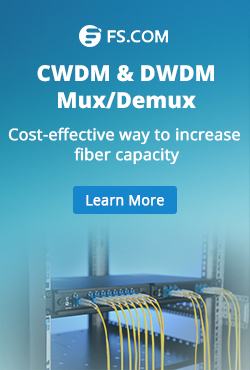 They can be loaded with 12 with FHX series enclosure to provide a means to connect backbone-to-backbone or backbone-to-horizontal fiber cabling. FHX ultra fiber enclosure is designed with optimum serviceability and manageability, which enables data center technicians to quickly and safely complete moves, adds and changes while simultaneously providing the scalability to increase density as business demands evolve. The small form factor is designed for more rugged cabling. Outside the fiber retaining fingers of fiber adapter panel can be routed straight back to avoid the possibility of kinking. 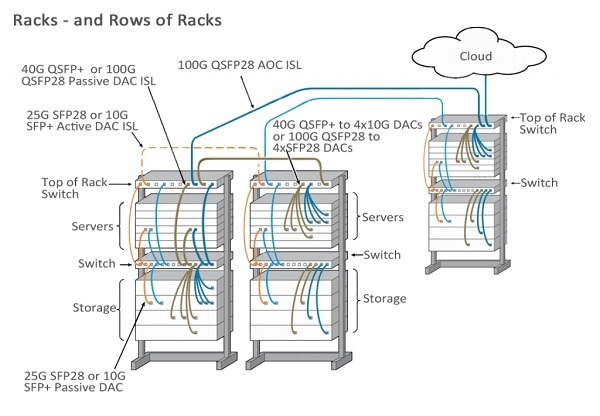 It can also reduce congestion within and between racks for improved airflow, and less risk of downtime due to pinched or bent cables. FHX fiber adapter panels highlight smaller form factor, more rugged cabling. The locking position exists on the slide tray of the fiber adapter panel to avoid the possibility of kinking. It can also reduce congestion within and between racks for improved airflow, and less risk of downtime due to pinched or bent cables. It is built for next-generation density demands. The main benefits and features of FHX fiber adapter panel can be summarized in the following points. The importance of a good cable management is needless to say. Of course, it’s great to have a lot of space within a cabinet so that you can accommodate as many cables as you need, but having a bunch of cables with a lack of organization or structure can turn into a nightmare. And that’s why you need tools like fiber adapter panels to keep all the cables neatly and tightly secured in place. With the help of fiber adapter panel, you can build the system the way you please both technically and aesthetically. This entry was posted in Fiber Cabling and tagged Cable Management, Fiber Adapter Panel, fiber enclosure, high density panels on January 19, 2018 by Admin. According to a recent survey, over half (57%) of companies have already adopted the Internet of Things (IoT) technology. By 2019, that statistic is projected to reach 85% as the expectations for IoT to deliver value and innovation continue to grow. Many advocates are struggling to secure IoT devices. 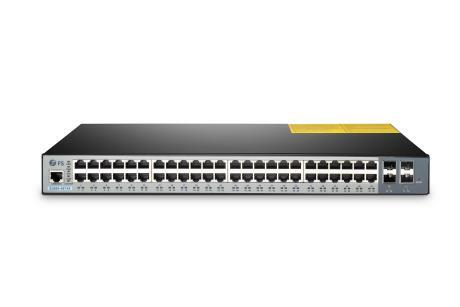 To lead the pack in the switches markets, Cisco recently announced the Catalyst 9500 Series switches, which are designed for security, IoT and the cloud. The switches will be the next generation of the most widely deployed switching platform. Here in this article will take you to understand more about Catalyst 9500 switches and which optical transceivers are compatible for it. The Cisco catalyst 9500 series switches are the next generation of enterprise-class core and aggregation layer switches, which are part of the new Cisco catalyst 9000 family. These switches come with 4-core 2.4-GHz CPU, 16-GB DDR4 memory and 16-GB internal storage. The catalyst 9500 comes in three different varieties: Catalyst 9500-24Q, Catalyst 9500-12Q and Catalyst 9500-40X. They support 10G and 40G Gigabit Ethernet network connection. The most important feature is that these switches support the advanced routing and infrastructure services, such as MPLS L2/L3 VPNs and MVPN. 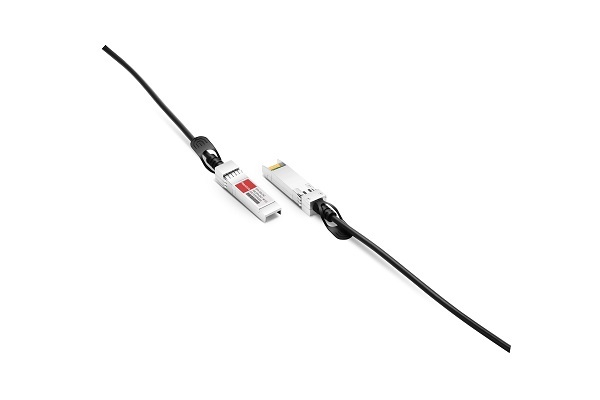 And they are designed for full fabric-control with Cisco DNA and Software-Defined Access (SD-Access). Therefore, these switches deliver stellar performance and functionality and extend Cisco’s networking leadership with significant innovations in security, mobility, IoT and cloud. 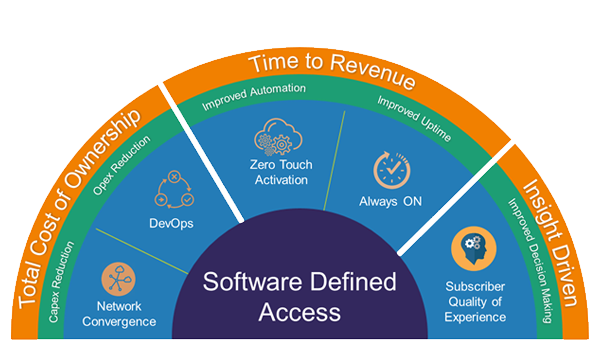 Reduced cost and complexity with Cisco Software-Defined Access by automating policy, enabling fast service creation and providing complete visibility into the wired and wireless access networks. Create better customer and employee experiences through higher performance and improved support for mobility and new apps. Advanced end-to-end security to handle threats before, during and after attacks. According to Cisco 10/40 Gigabit Ethernet Transceiver Modules Compatibility Matrix, C9500-12Q, C9500-24Q and C9500-40X can support SFP-10G-ER, SFP-10G-ZR, SFP-10G-ER-S, SFP-10G-ZR-S, QSFP-40G-SR4, QSFP-40G-LR4, SFP-40G-SR4-S ect. 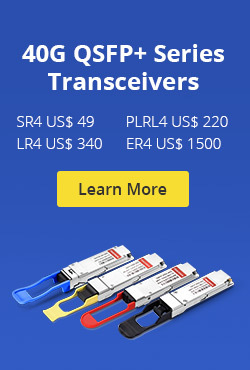 All SFP+ and QSFP+ transceivers can be found in FS.COM. And all of these cost-effective compatible modules have been strictly tested to make sure 100% compatibility. Note: For C9500-24Q / C9500-12Q, the Transceivers should be used with CVR-QSFP-SFP10G. The catalyst 9500 switches solve some persistent challenges of enterprise networks by utilizing platform innovations built around four key areas: security, Internet of Things (IoT) convergence, mobility and cloud readiness. There is no doubt that catalyst 9500 is leading us to a new era of faster and securer network. And if you need any transceiver for Cisco catalyst 9500 series, please contact us via www.fs.com. All the products offered by FS.COM are tested before shipping to ensure superior quality. This entry was posted in Fiber Optic Switch and tagged C9500-12Q-E, Catalyst 9500-12Q, Catalyst 9500-24Q, Catalyst 9500-40X, Cisco Catalyst 9500 on September 30, 2017 by Admin.